You are reading this post, then surely you are running a blog or we can say just another blog in the blog-o-sphere. Don’t mind, I’m not here to hurt your feelings. It’s common to all that blogging makes money online with awesome sources like CPC ad networks, Blog giveaways, sponsored posts, affiliate sales, vlogging (video blogging) and many others. But the one which is most preferable and first choice of bloggers is Google Adsense (CPC program). 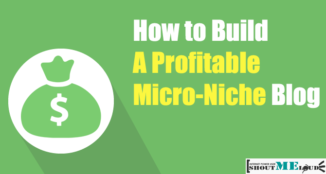 If you wanna make real money with this giant CPC ad network, then you have to build a reputable blog. This is the backbone of my first sentence from which I start writing this guide. 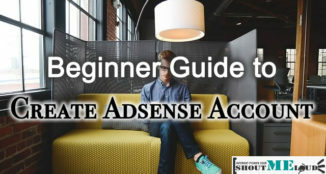 I’m writing this guide and this doesn’t mean that I’m expert in making real money with Google Adsense. I do experiments and get some good results. That’s what I’m gonna share today. 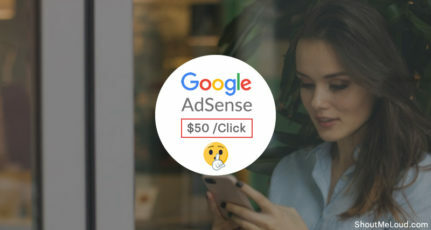 Making a Google Adsense income that gives you a big smile on your face is only possible when you are dedicated to your work. You need to make plans and strategies to work with them. Only then you can get productive results. 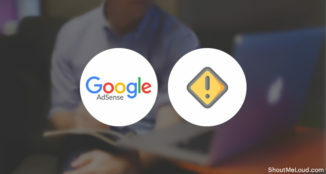 If you browse the internet, then no doubt, you can find a lot of ways that you can follow to increase your Google Adsense revenue like using same color ads as of your blog text and links color, wrapping up ads with the text, using maximum allowed ad units, sparkling the high paying keywords within the content etc. 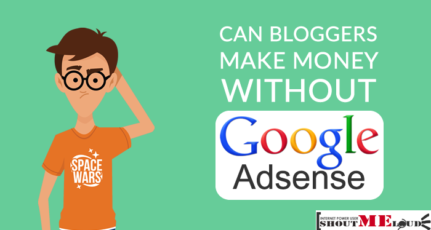 Yes, all these ways help bloggers to make some money with Adsense but you can only take out your hosting and management costs with these strategies. Real money comes with real, working and effective plans. I’m gonna share my three strategies that I think will help you for sure to get more money with your CPC ad network. 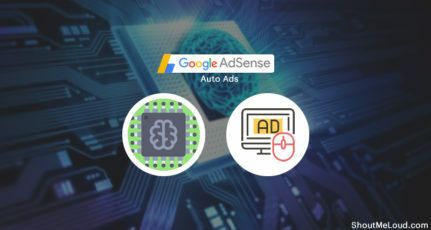 It’s not hidden from anyone that if we get traffic from US/UK/Canada like countries, then our Adsense CPC (Cost Per Click) touches the sky but the question is how to get traffic from these countries? Do whatever you can do to drive traffic from these countries like sharing posts in LinkedIn groups but you should test my strategy too. Make a list of some popular blogs in your niche that are getting enough traffic eespecially from these countries (Check out their Alexa stats). Follow those blogs, comment on their blog posts and build better relationships with the blog owners. Do the same for atleast one month. After that, send them a polite request to write a guest post for them. Once your request gets approved, you are ready to drive foreign traffic. Believe me or not, this trick will surely help you a lot. We all know that no one can neglect the keyword research’s importance in SEO and driving organic traffic. Selecting high paying keywords returns high CPC. Yes, it’s true but thinks for a moment. 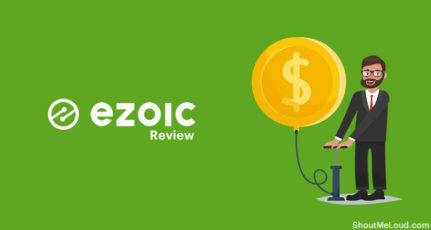 If your competitors also targeting the same high paying keywords, then how you’ll get the ranking and organic traffic. A super fail! Right? Do keyword research and find out some low competitive keywords (Forget about their CPC because our main motto is to drive organic traffic as much as possible) and some high paying keywords too. Write quality posts targeting those low competitive keywords and smartly sparkle the high paying keywords near to your Google Ads. Targeting low competitive keywords will give you good organic traffic and using high paying keywords will returns high paying ads display in your blog. Now, it’s time for last but not the least Adsense booster. Giveaway is one of the best ways to promote blog in short time. By launching giveaway to your blog, you can easily get new readers, social likes, email subscribers and many more that is beyond to our thinking. But do you know, we can use giveaways to boost our Adsense earnings too. Yes, here is the way. Start a Guest posting giveaway in your blog and set the winning criteria based on maximum comments and social shares on guest author’s posts. Guest authors will write high quality content for our blog. Our blog will get update very frequently. Search engines loves frequently updated blogs having quality content. You’ll get high search ranking, means high organic traffic that will push up the second Adsense booster. Guest authors will share their written posts on their social profiles. Means traffic from various sources and countries will land to our blog which will provide strength to our first Adsense booster strategy. New readers will land to your blog means higher chances to get clicks on our ads. If you are wondering how you can get prizes for your giveaway, you can check out this post on getting sponsors for blog contest. So, these were my three strategies that can help you to earn more money from your blog. This is a guest post by Ankit Kumar Singla from BloggerTipsTricks. If you would like to write for ShoutMeLoud, Check our guest posting guidelines.